We keep you up to date. 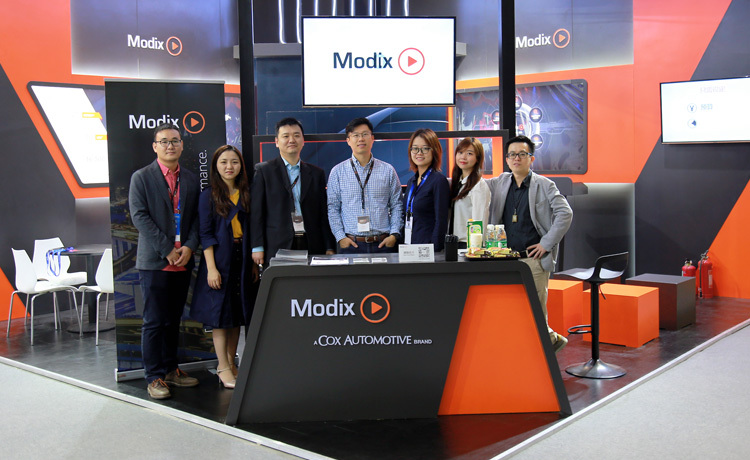 This year Modix China participated at the China Automobile Dealers Industry Convention & Expo 2017 (CADA). Over 120 exhibitors joined this automotive trade fair. The CADA was hold in Suzhou from 11. – 13. November 2017 and aimed to drive up the integration of effective industry resources and build the eco system for China auto market by providing a cross-region communication platform for all the dealers, experts and visitors. This convention increased to more than 30 games, involving nearly 20 areas of the automotive industry, invited were nearly 2,000 guests and experts from over 10 countries - regard the government, the economy, the markets for the industry hot spots shared experiences and explored development of the industry. The fair is the new model and image rendering, to build a platform for precision docking of China's most professional automobile manufacturers, auto dealers group, after the used car dealers and auto manufacturers market exchange, cooperation and procurement. For more than 10 years now, Modix is the number one for digital marketing of automobiles and offers manufacturers and dealers innovative solutions for online sales and marketing. On our Modix booth we had several presentations and demonstrations of our full innovative solution portfolio including digital advertising, data driven solutions, E-commerce solutions and digital marketing solutions, etc. For more pictures from the event visit our Facebook-page. Select a category and view only the posts of a topic. Sign up for the Modix Newsletter.